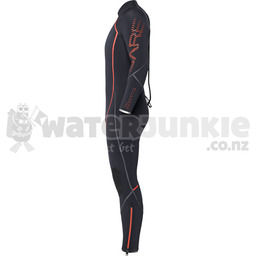 The Bare 7mm Reactive Full Suits are made from Elastek Full-Stretch nylon-2 neoprene combined with Celliant fabric for Bare's highest degree of warmth, stretch and comfort. Reactive uses Celliant Infrared technology to turn wasted body heat into usable infrared energy. 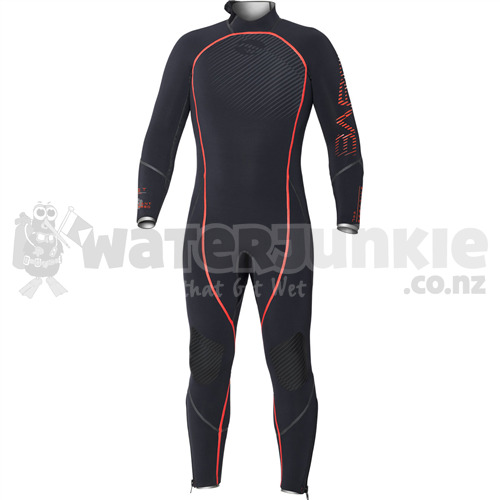 The lining is enhanced with 13 thermo-reactive minerals woven into the fabric of the wetsuit that react to your body heat converting it to infrared energy and reflecting it back to the body increasing circulation and body warmth. 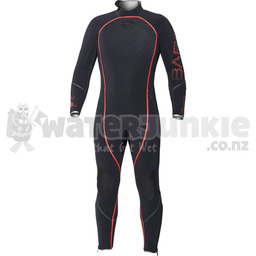 The Reactive Full Suit has a hook and loop adjustment on collar features a booklet-style cover, to protect your suit from snags and pilling and seamless underarms for superior comfort and mobility. Extra-long 21" (53.3 cm) S-Lock2 back zipper with offset tooth design. 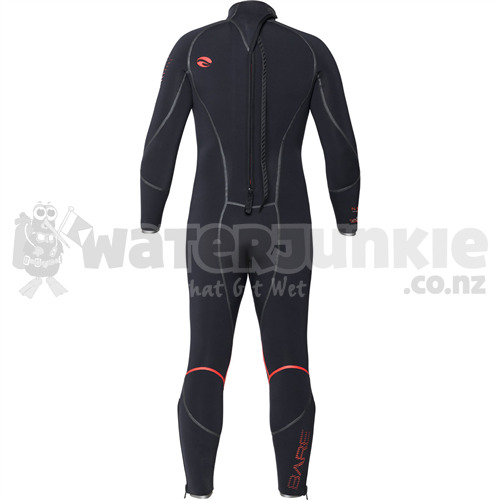 Polyurethane (PU) coated zipper tape guards against water entry and skin-to-skin double internal sealing zipper flap for added warmth. For easy donning and doffing the zipper is equipped with a full-length puller with silicone print for easy grip and grip tab at base of the zipper to further increase ease of self-fastening the zipper. Extra-long 11" (28 cm) heavy-duty ankle zippers are also for easy donning. Armor Flex 2.0 highly flexible, durable, abrasion resistant 3-D kneepads; help protect this high wear area. The suit is built to fit right with an anatomically correct pattern for three dimension fit throughout. 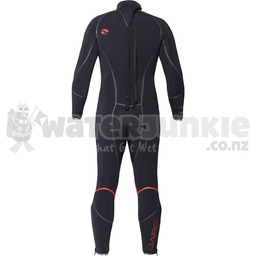 Comfortable contoured 5mm Glide-Skin collar with 360 hook and loop adjustment and skin-to-skin double 3mm Glide-Skin wrist and ankle seals with fused cut finished edges make this one great suit. Using Bare's patented No Stitch Technology (NST) process, until now only found in our dry suits, Reactive is made without a single seam stitch keeping you drier, warmer and diving longer. Suit is available in multiple sizes.